Owning a car is a big responsibility with the required maintenance it takes to make if perform efficiently. In addition, making sure our car is serviced with necessary upkeep can help us be safer on the road. 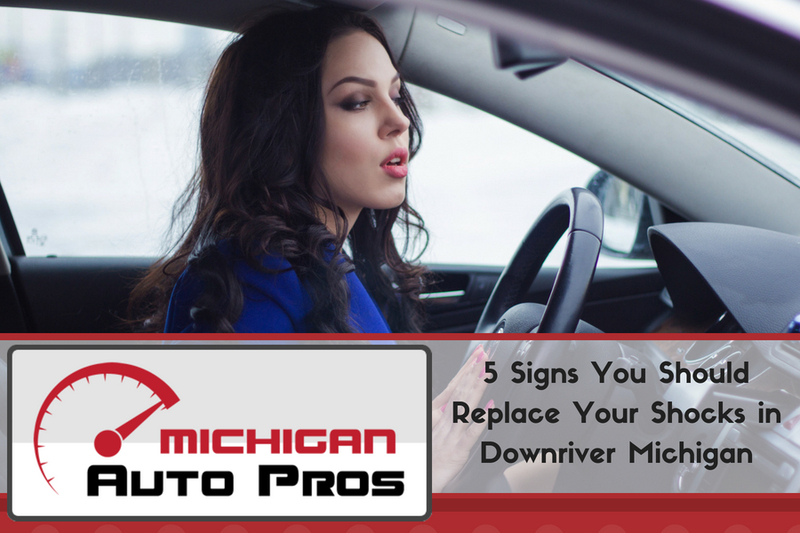 While getting an oil change, changing your brakes, or getting new tires is important, knowing the right time to replace your shocks in Downriver Michigan is also necessary. There are some signs that you should be aware of that can let you know when your shocks are failing. Make sure you don’t ignore them. 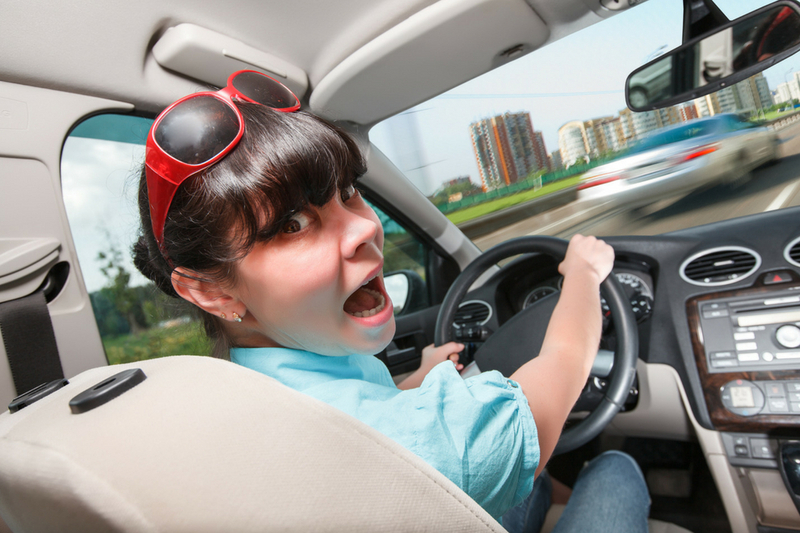 Riding in a car that is rough is not only frustrating but it can also be unsafe. Shocks help to keep your car’s tires firmly planted on the road. Not only that but they also make sure you have a smooth ride that doesn’t jar you while going down the road. Knowing when it is time to replace your shocks is crucial to keeping your car safe and make sure you have a smooth ride that is comfortable. Is it time to replace your shocks in Downriver Michigan? Here are five signs you can use to tell if it’s the right time to replace the shocks so you will have a smoother ride. Shocks enable your car to be stable when you’re driving down the road as well as help you stop sooner. Of course it’s normal to bounce a small bit if you go over a large bump or patch in the road. However, excessive bouncing means that your shocks need to be replaced. Compromised shock absorbers will result in your car bouncing incessantly. If you don’t want your car to be to like the inside of the bounce house, it might be time to replace your shocks in Downriver Michigan. If you find that as you’re cruising down the road it is difficult to keep the car steady and it wants to swerve out of control, it just might be a sure sign that shock replacements are needed. You might also find that your car will dip quite low to either side as you’re turning, which means the shocks may no longer effective. There may also be a noise when turning as well. You know that your tires will wear down over time. This is normal, yet if you need new shocks, you will find that your tires will wear faster than usual. Often referred to as tire cupping, this causes your tires to roll unevenly against the road. When this happens, you will have to replace your tires much quicker than usual. Although replacing your shocks will cost you some money, you’ll save yourself the expense of replacing an entire set of new tires. Does your steering wheel have a case of the shakes? Small vibrations as you’re driving down the road aren’t usually a big deal, but with ineffective shocks you’ll notice that your steering wheel will start to vibrate more than usual. This will make it more difficult to control your car in make it more dangerous to drive it safely. In addition to being hard to control a car with a shaking steering wheel, it is also very annoying! If you need new struts, it will take you longer to stop the car. When you are in a situation where you need to stop the car quickly, you put yourself at risk for a serious accident by forgoing a shock replacement. This can be especially true if you experience problems stopping while turning the car. Be sure to give Good Care Auto a call today at (734) 285-1188 for fast and effective shock replacement service in Downriver Michigan. With their help, you will be have a much smoother and safer ride down the road here in Downriver Michigan. Good Care Auto is a fully ASE certified auto repair facility in Downriver Michigan. They offer full services on domestic, luxury, and import vehicles. Stop by today to get your car serviced by one of their certified mechanics. Next Why Should You Monitor Tire Tread and Pressure in Downriver Michigan?